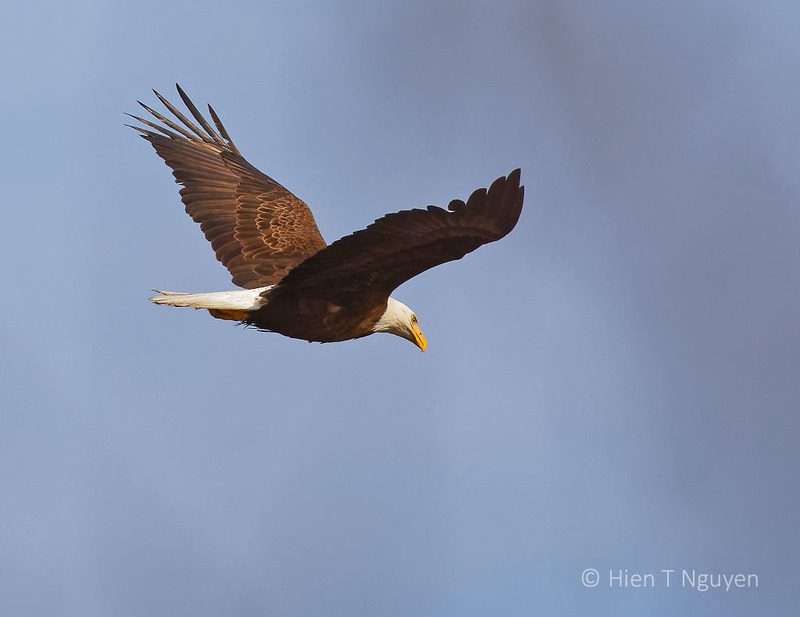 Such beauty Hien … I bet he wasn’t happy about dropping his dinner! Those Trout can be very slippery! Thanks Julie! 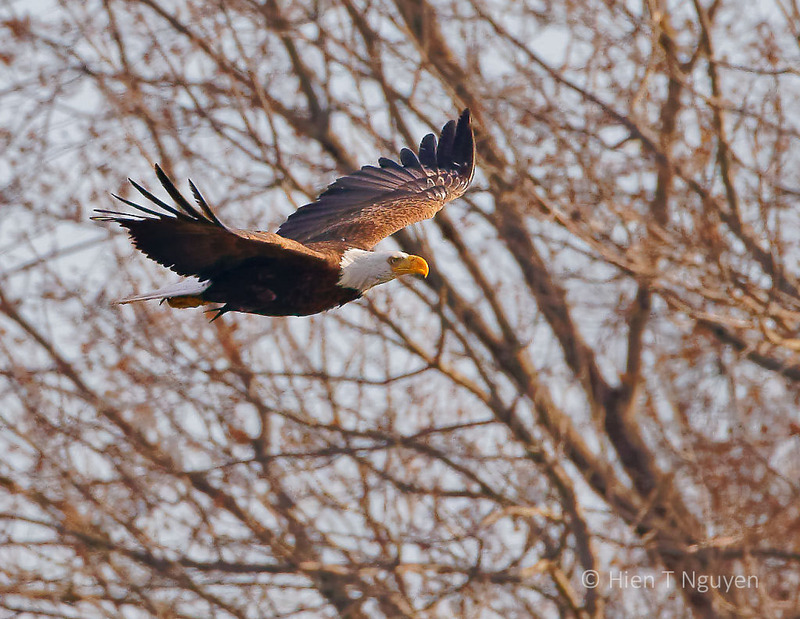 Wow…Great shots of this majestic Bald Eagle!! Thank you Amy! These birds are always a pleasure to photograph. What great shots. How wonderful you were there to take them and see such beautiful birds! Thank you very much Katelon! Thanks Amy! It could be they were too full of fish. 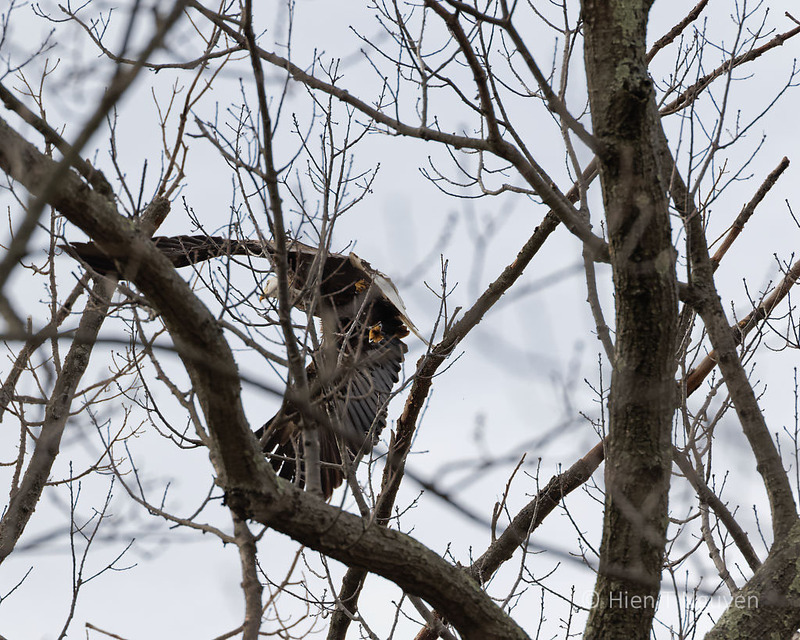 The lake was stocked with trout about ten days ago, and the Eagles, Herons, and Cormorants have been feasting on them. Hmmmm ….. could be, Hien. In flight they look so majestic and distinctive. Beautiful photos of your national emblem. Thank you! 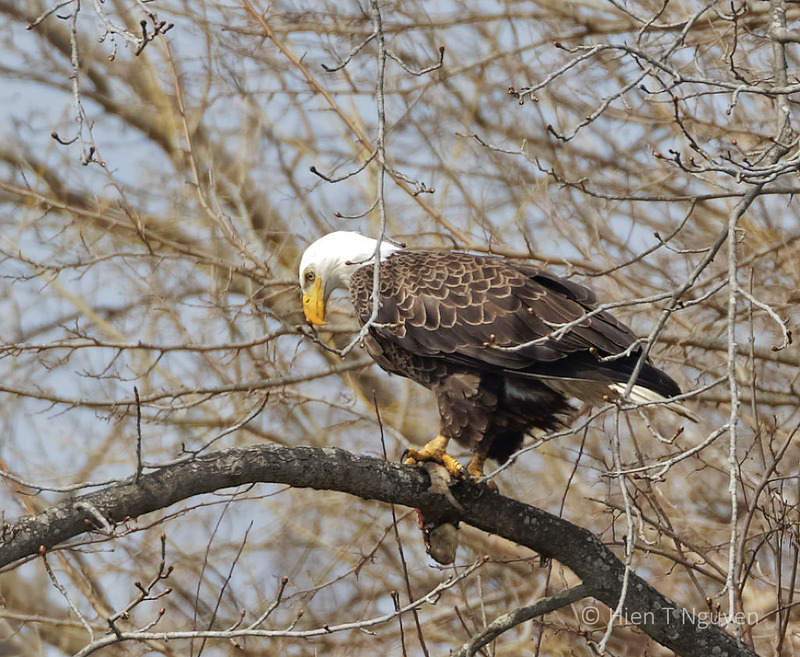 Since the DDT fiasco, there have been laws protecting Bald Eagles, and one can be fined for even collecting a feather. They have made a come back though, and we are seeing more of them every year. 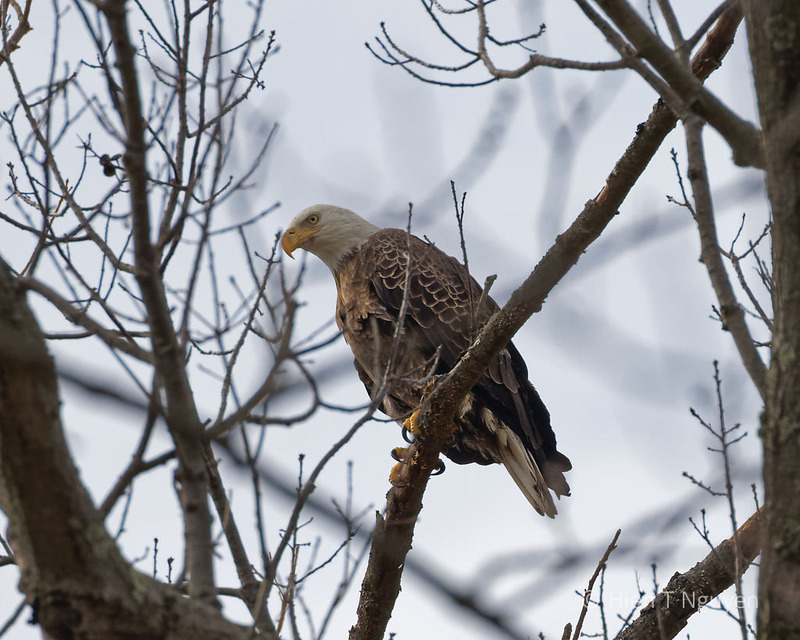 When I saw a bald eagle in a Florida nature preserve, it gave me goosebumps. Eagles are awe inspiring for sure! Superb bird photography. I’m always amazed at how sharp your focus is. Are these hand-held shots or from a tripod? Thank you, Vicki! When the bird is stationary I try to use a tripod, or even a monopod. However, when they fly, I have to shoot without any support. If there is enough light, I can often shoot at 1/2000 or even lower speeds and the results would still be sharp. Majestic Hien – the trout may not think so LOL. Beautiful photos, Hien. Eagles are such opportunists! That first shot says it all, beautiful capture of a beautiful bird! Such regal birds. Hear about them and have seen photos of them but haven’t unfortunately seen them up close. Love the one in flight. 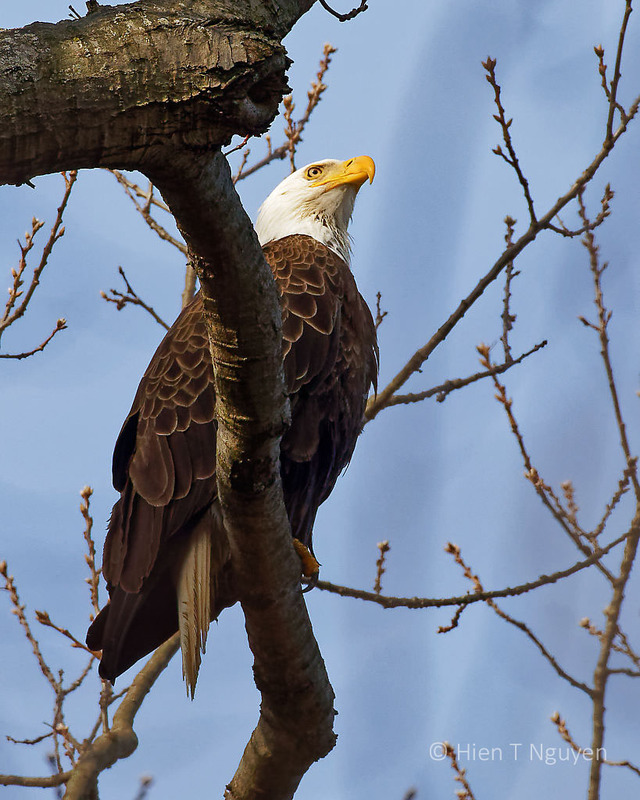 Bald Eagles have made a comeback, so you may see them in your area one of these days. Thank you! Maybe he wanted to share. They sure are majestic birds. I have seen them up close when rehabbed ones are released. These photos are wonderful. Thank you.